Google is the go-to destination when you need to find something on the web—the verb “to google” even made it into the dictionary. But while everyone’s heard of the popular search engine, very few know how to make the most of it. Behind the unassuming Google interface, you’ll find a host of useful tricks to help you zero in on what exactly you want to find. Looking for an obscure recipe or rare photo? 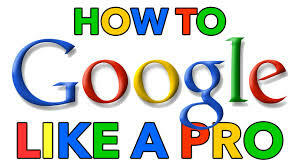 Read on to start using Google like an expert.